Hello, everyone! I'm glad to be back after taking most of July off to play catch-up. I hope you are all having a good summer, enjoying some time to relax a little and do some reading. If not, get ready because there are some great new books that have just been released and several more about to be released. 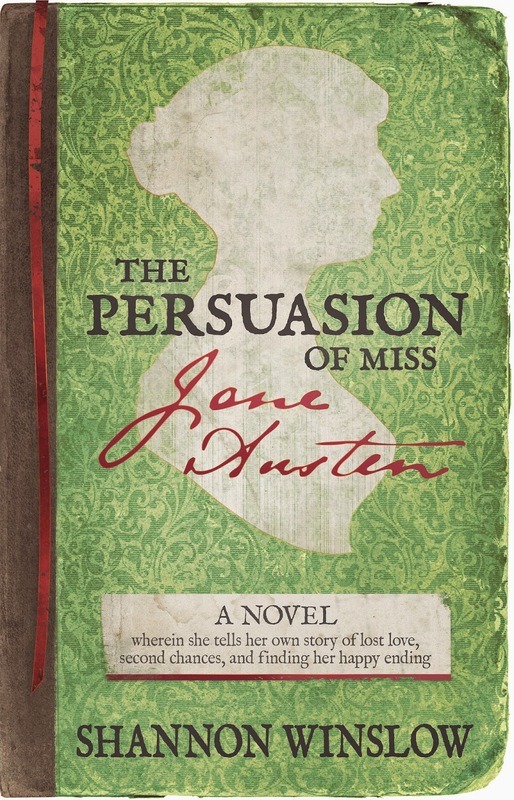 One of those is The Persuasion of Miss Jane Austen by Shannon Winslow. The book will be available at Amazon and B&N on August 11th and an audible edition will follow later. Today, I am very happy to have Shannon Winslow visit my blog again. Her last visit was in October, 2013, when she entertained us with her path to becoming a novelist. This time she is sharing the blurb and some interesting facts from her upcoming release, The Persuasion of Miss Jane Austen. Thank you, Shannon, for letting us take part in a 'pre-launch party', if you will! There is a very generous giveaway too! Now dear readers, please welcome back, Shannon Winslow. What if the tale Jane Austen told in her last, most poignant novel was actually inspired by momentous events in her own life? Did she in fact intend Persuasion to stand forever in homage to her one true love? While creating Persuasion, Jane Austen also kept a private journal in which she recorded the story behind the story – her real-life romance with a navy captain of her own. The parallel could only go so far, however. As author of her characters’ lives, but not her own, Jane Austen made sure to fashion a second chance and happy ending for Anne and Captain Wentworth. Then, with her novel complete and her health failing, Jane prepared her simple will and resigned herself to never seeing the love of her life again. Yet fate, it seems, wasn’t quite finished with her. Nor was Captain Devereaux. The official record says that Jane Austen died at 41, having never been married. But what if that’s only what she wanted people to believe? It’s time she, through her own private journal, revealed the rest of her story. I dedicated the book to every fan who has wished Jane Austen herself might have enjoyed the romance and happy ending she so carefully crafted for all of her heroines. I’m one of those fans, and that’s what inspired this story. People have often wondered how Jane Austen managed to write so convincingly about courtship and love when she, apparently, had so little experience with these things herself. Yes, she had various potential suitors and even one marriage proposal. And much has been made of her brief but flagrant flirtation with her “Irish friend,” Tom LeFroy. But that really wasn’t much to go on, not enough to draw from while writing into being such iconic lovers as Darcy and Elizabeth. So how did she do it? My theory is that there was another man in her life – one she kept carefully concealed from the eyes of the world (with a little help from her friends). As with Anne and Captain Wentworth, they met when they were young, then suffered years of estrangement, and were reunited later on. Although the outcomes of the two cases were different, this was Jane’s one true love. It inspired the story of Persuasion specifically, and influenced all Jane’s other novels as well. It’s due to Captain Devereaux that she knew what it was to love and be loved in return. Here’s a clip from the book demonstrating the point. Captain Devereaux, a casualty of war, has left Jane with only a letter (but what a letter!) to remember him by. And now she, near the end of her life, has just finished writing Persuasion and her companion memoir (as alluded to in the blurb above). In all this, Captain Devereaux has had his part, as I have said before. His words, character, and mannerisms have found their way into every book. More significantly, the feelings excited by him in me have informed my writing of the heroine in love, in all of her elations and agonies. Some might argue that, considering the ultimate outcome, I would have been better off had I never received Captain Devereaux’s letter, that it would have been kinder not to have raised my hopes for a bliss which never came to pass. With such an assertion, I would most strenuously disagree. In fact, I would not be convinced to part with that treasured letter for any price. It is to this day my most cherished possession. Because of it, I know I was once well and truly loved by a man of superior worth. That can never be taken from me. To Captain Devereaux and to our unconsummated love I hereby dedicate the work of the last year, both this autobiographical account and the novel its events inspired. I am grateful to have been given enough time to complete them. These two now lie alongside one another before me. Their pages are written in the same hand. Their stories merge as almost to form one body. Indeed, they are so fiercely intertwined as to be impossible to cleanly divide. When one is wounded, does not the other bleed? And yet they must now go their separate ways, for the happy twin is destined to venture out into the world… as soon as I and the other have made our escape from it. What people may hereafter say about my life, I cannot control. My biographers, if any, must do the best they can with the sources available to them. It is necessary that this, my own account – of love lost, found, and lost again – shall remain for some time to come concealed from their eyes. For now, the story belongs to me alone… to me and to that one other. Sounds like a three-hanky ending, doesn’t it? But what you should know is that this isn’t the end of the book. I’ve cooked up a bit of a surprise for you… and for Jane. I hope you’ll read and enjoy finding out what it is! I think this book sounds excellent, Shannon, and I can hardly wait to read it. Time, time, time...that's all I need! :) Thank you so much for dropping by and sharing with us a preview of The Persuasion of Miss Jane Austen. (and isn't the cover fantastic!) It has been a pleasure to have you visit again. Laurel Ann Natress of Austenprose will be hosting the launch party for Shannon's new release on August 11th. Be sure to drop in and share in the fun. Shannon will also be having a blog tour so be watching for more information about dates and giveaways on her website/blog. You can also keep track by following her posts on Facebook and Twitter. 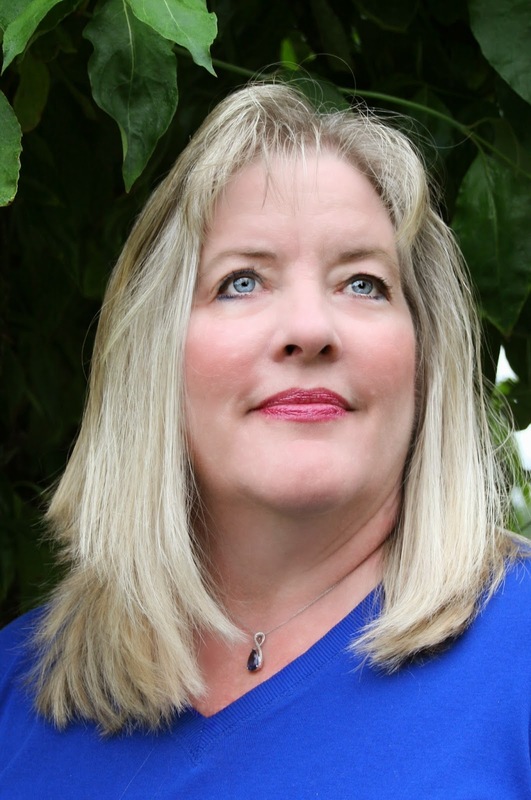 Shannon Winslow is generously offering three books for a giveaway, one trade paperback, US only, and two eBooks for your eReader, international. Thank you, Shannon! We want to hear your share in the conversation so leave a comment to be entered in the giveaway. Be sure to include your email address in the comment. To prevent unwanted spam, put your email address with an (at) instead of @. Winners will be chosen in a random drawing. Giveaway ends at midnight on August 4, 2014. Once again, this book will not be available until August 11th. Good luck to all. This sounds such a fascinating read! I love reading about the background behind why a writer chose a particular story to write, so I really enjoyed this Blog post, thank you Shannon and Janet. Good luck with the release next month, Shannon, and last but not least, congratulations! Thanks so much, Cassandra! I agree, the inspiration for a story can be almost as interesting as the story itself. This one's been cooking in my brain for the last three years and now it's finally done. Feels good! Actually, Cassandra, you probably meant Jane Austen's inspiration for writing Persuasion, not my inspiration for writing my book about her inspirations for writing hers! Whenever an author writes a novel about another author writing a novel (a story within a story), it's hard to keep the two straight! Shannon, I've been intrigued by this story ever since you first posted about it on Austen Variations and we finally know how soon we're going to be able to find out more. The letter you've mentioned - could it be one that CFW's to Anne was based upon, I wonder? Looking forward to the blog tour and I must add my congrats as well. Hmm. It could be, Anji! What would a Persuasion tribute be without that letter? Just realised I didn't add my email address. The blurb and the accompanying excerpt sounds fabulous, Shannon. I wish you my sincerest congratulations for completing your story and all the best in your book sales. I too can't wait for next month and the blog tour. Thanks so much, Luthien. It would be no fun writing without loyal fans like you to read the stories when they're done! What in intriguing and interesting way to write this story, thank you for sharing this excerpt. I am looking forward to reading this. Congrats on the new release and looking for many more stories from you in the future. Thanks, Julie. 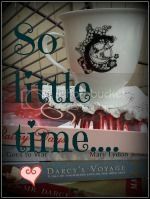 It was truly a labor of love, and I hope Jane Austen would have approved! This sounds really wonderful Shannon - I look forward to reading the entire book. Thanks for this teaser and thanks for writing it. You are great! I hope you enjoy reading it as much as I did writing it, Agnes! I know what you mean. We have only been told what Jane's family wanted us to know or believe, not necessarily the whole truth. Their censorship actually worked to my advantage, however, since I was able to incorporate that idea into the plot! I love the premise of her own secret romance influencing her Persuasion. Congrats Shannon! It sounds great. Congratulations, Shannon! After reading your other books I have been anxiously awaiting this one. I have been curious about the premise for this book ever since you discussed it at our lit group. Can't wait! That was a such a fun evening, Janene! I'm glad you invited me. Fingers crossed for you, Bridget! Hang in there, Tamara! I trust the ending will be worth a few shed tears along the way! My cover designer did a great job, didn't he? His hardest task was putting up with me forever saying things like, "Well that looks great. I think you've almost got it. But could we move this a little to the left... and maybe make the ribbon a little longer... and wavier?" Haha! Congratulations on the new release, Shannon! Can't wait to read it! The premise is breathtakingly beautiful! Many thanks, Joana. I'm so glad you think so! My best wishes for your daughter's birthday, Eva, and good luck with the contest! Congratulations on your latest literary offspring, Shannon. This is so exciting, and there's only one more week to wait! You must have followed the link from reading my own blog, with the remark about "literary offspring." Thanks for visiting both places, Lilyane! This sounds like a book just up my alley. I mean to have a what-if book to read about our favorite author Jane Austen. I can't wait to read it. Congratulations! Thank you for the generous giveaway Shannon. Looks interesting. Cannot wait to read. Cannot wait for publication date. Looks interesting. Cannot wait to read. Eager to learn if you are incorporating the gentleman Jane Austen met during a seaside holiday who seemed to Cassandra to have quite fallen in love with Jane. According to Caroline Austen Lee, "he made it plain he should seek them out again" however, shortly afterwards they learned of his death. Yes, Kerri! That anecdote was too valuable for the kind of book I was writing to ignore! It worked in beautifully. you so much for this giveaway. the perfect addition for Austen in August! TY for writing and for offering us the opp to enjoy more of it , Shannon =) !! You have "cherry" in your name, but I say you're a peach! Good for my ego too. Bless you, my dear!